Home / foodie / game of thrones / johnnie walker / sherry cask / white walker / Yes, Winter is Coming...but before that, it’s the White Walker whisky! 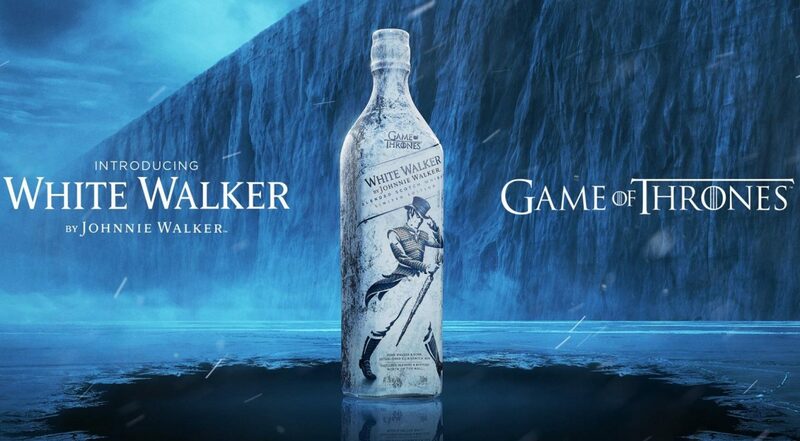 Yes, Winter is Coming...but before that, it’s the White Walker whisky! As "Game of Thrones" fans hold their bated breaths for the upcoming final season of the popular HBO TV series in April next year, there's something really cool they can get their hands on right this instant! No, it's no, dragon egg, but it's something just as special. 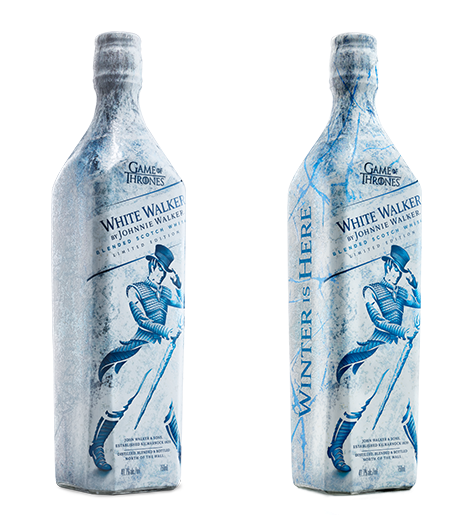 Whisky experts Johnnie Walker has introduced its brand new limited edition "White Walker" whisky! What's so great about this whisky is that not only does its all white and blue packaging look great at a glance, but when frozen, the bottle reveals a hidden design accentuated by blue vein-like designs and a very special message using temperature-sensitive ink (thermochromic) technology. Non-frozen and frozen. See the difference? For whisky connoisseurs, do note that White Walker by Johnnie Walker is created through blends of single malts from Cardhu and Clynelish - one of Scotland’s most northern distilleries. It has notes of caramelised sugar and vanilla, fresh red berries and with the alcohol by volume (ABV) at 41.7%. According to their website, whisky blender George Harper used the Frozen North as his starting point for creating White Walker by Johnnie Walker. The White Walker is now available locally from November 2018. Find it at airports, bottle shops or try StayThirsty! While we're here, you must be a whisky fan, so let us just tell you that Johnnie Walker has also released another limited edition whisky rather recently! 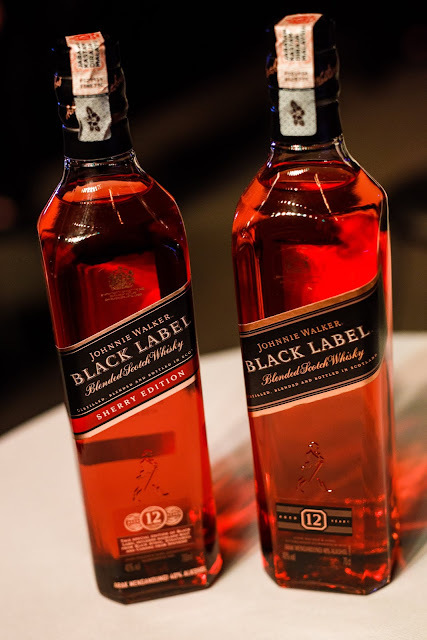 At the boldest and edgiest pop-up party by Johnnie Walker Black Label, BlackList 2.0, the limited edition Johnnie Walker Black Label Sherry Edition was the highlight. Johnnie Walker Sherry Edition (left). A portion of the blend has been matured in former Sherry Casks which gives the blend a rich, fruity, more approachable flavour. The expression also uses malts Blair Athol, Cardhu and Strathmill resulting in a taste of complex fresh fruit with orchard character, sweet vanilla and gentle smoke.